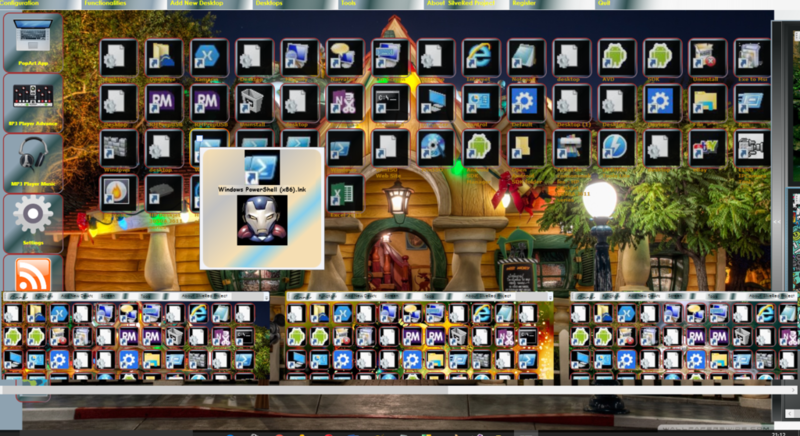 The GenuiSoft Desktop Manager Solution allow to create a personal desktop for all users of Windows with a new customization of your Desktop with more amazing functionalities and very fun applications for all the family. 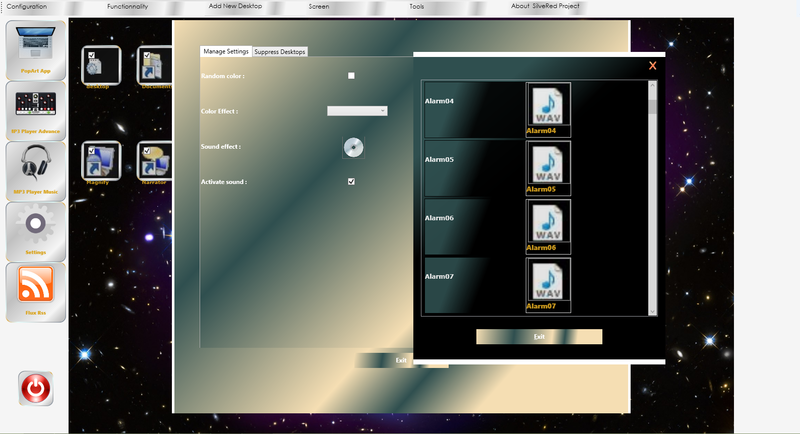 The solution allow to create personal desktop for all your family and your friends. Very Simple, Quick and Intuitive, the solution offer more smart functionalities : you will very surprised by his rapidity ! Discover a new Vision of your PC with a new Desktop! 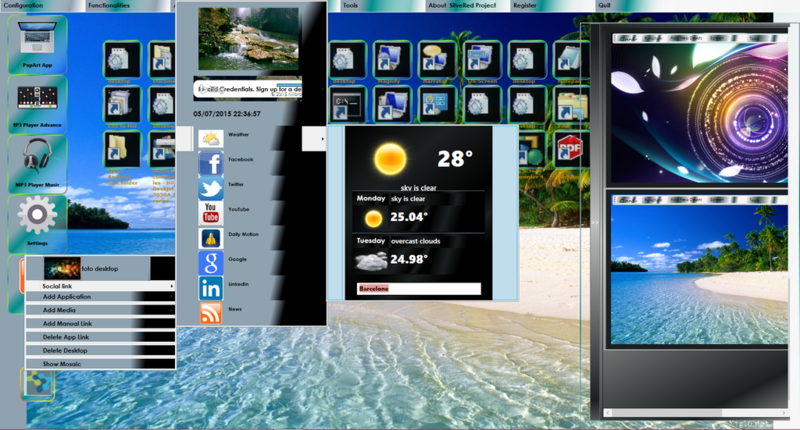 with the Multi Virtual Desktop Manager functionalities for Windows. 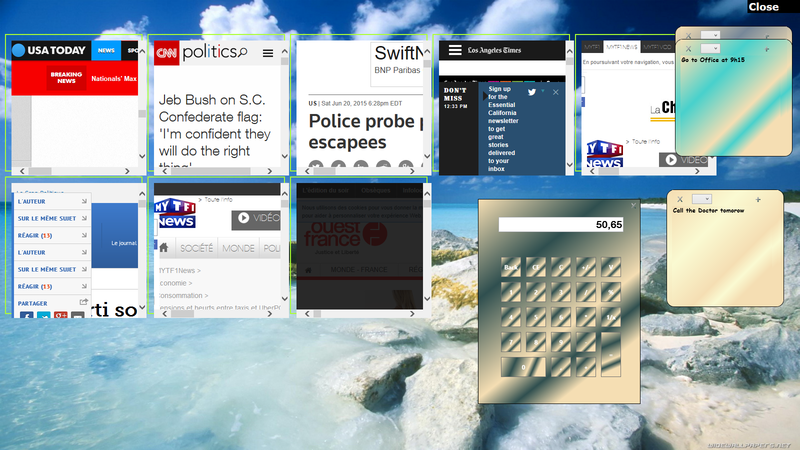 Rss Reader's application for reading the news, a custom calculator. 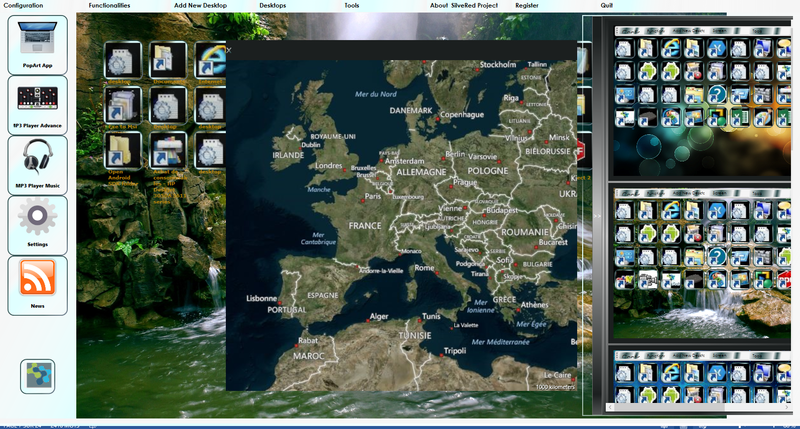 All your Multi Virtual Desktop can be configured with sound and graphical animations. Discover a new experience of your Windows more easy , smart and fun. Very Quick and Fun, you Will be very surprise by the performance of SilveRed Solution. Try a new user experience without buy a computer very expensive! 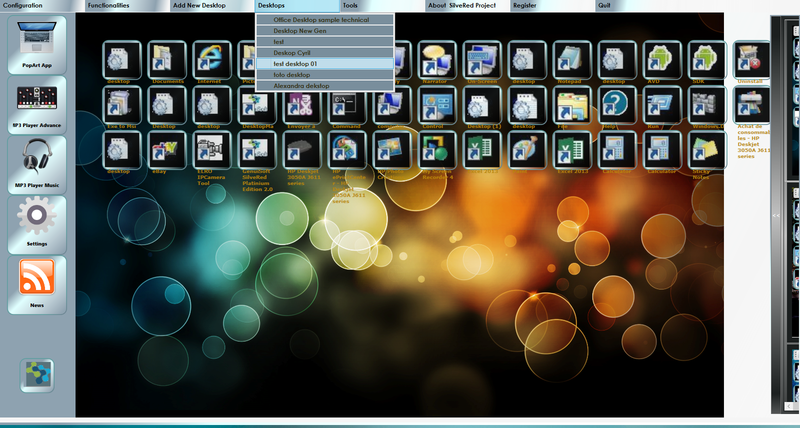 Discover the Virtualization Desktop next generation with the new system of Virtual Desktop Manager. Your personal desktop enter to virtualization. An ergonomic Using-friendly, icons based on accessibility, Visual and Sound effects for an user experience reinvent. A simple Design think for a friendly using for create your personnal aera. Personnalize your multiple aera. 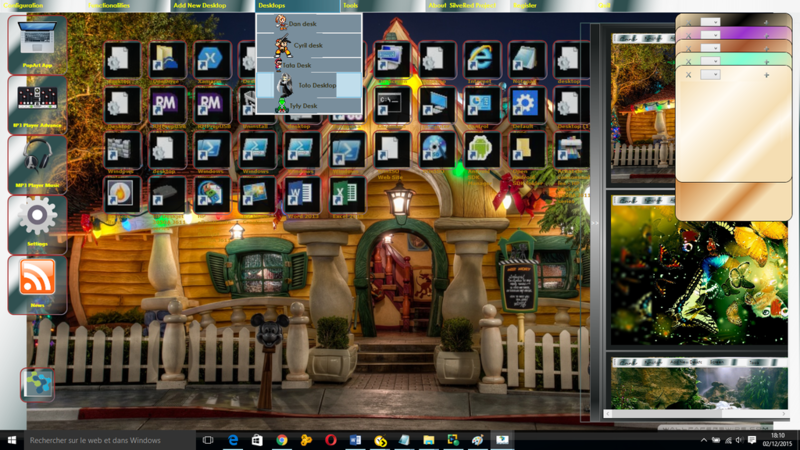 Create desktop for your games, works, family and your childrens. 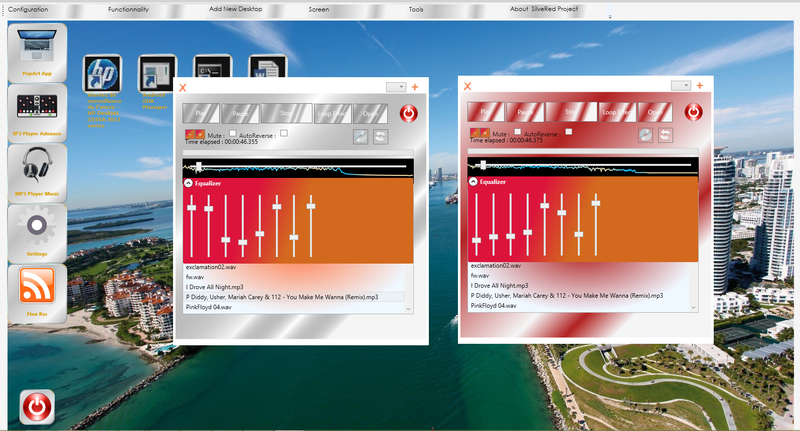 Media Sound and Mix Player with features very easy. 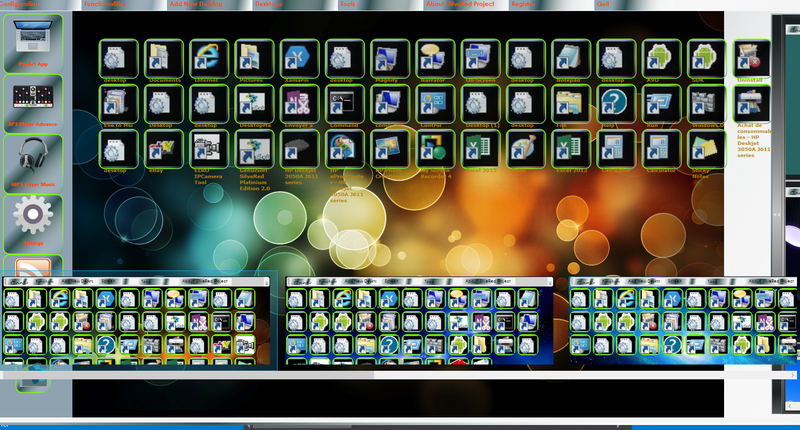 Applications developed for purpose intuitive graphical ergonomic with user feedbak for reinvent the pleasure of your PC. This software suite allows you to create virtual desktops integrated with the Microsoft ecosystem You can customize your virtual desktops as with graphics and sound animations. The graphic design of your virtual office offers a new graphic design similar to the Ubuntu operating system than the Macintosh. 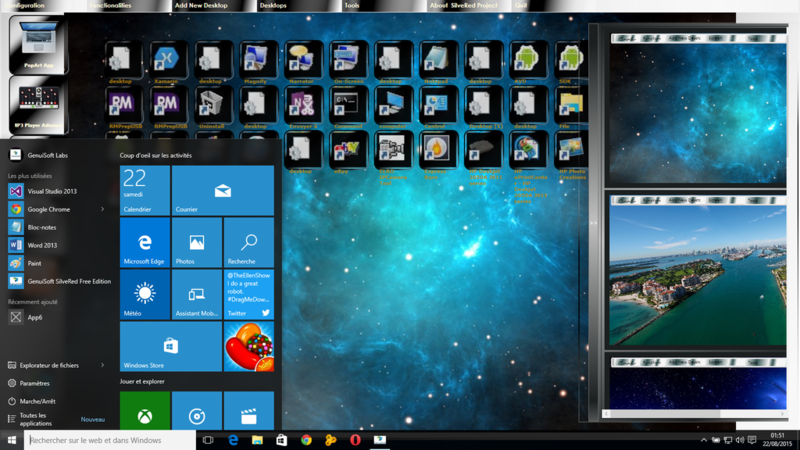 It is integrated with Windows 7 and 8, to navigate between all virtual desktops. 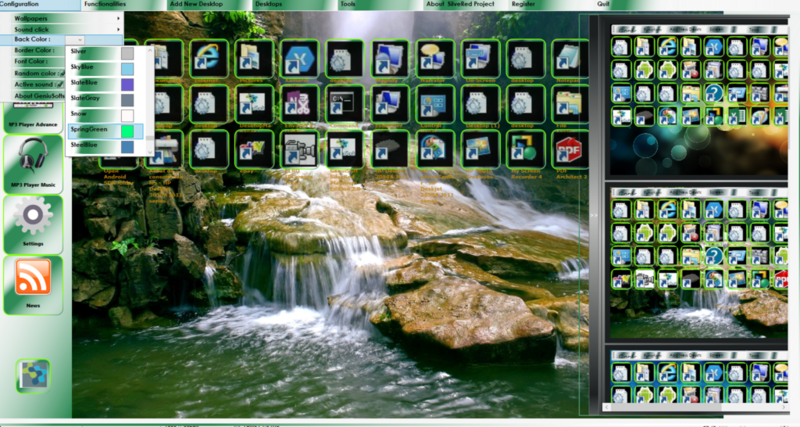 - A public desktop for the Video Game. 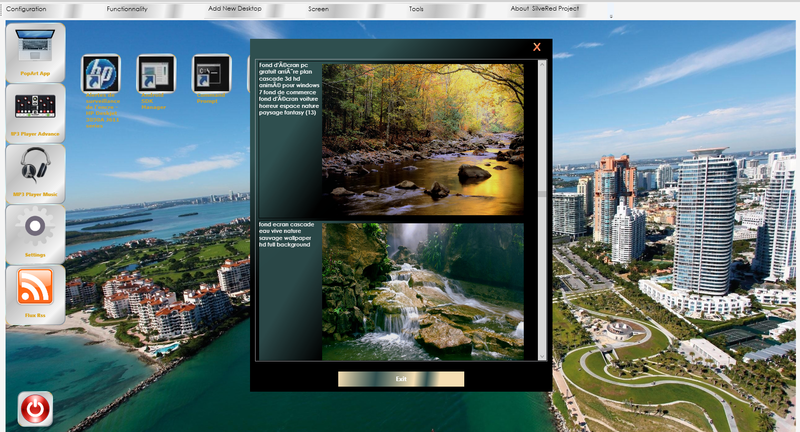 - A public desktop for all the family. - A private desktop for the work office. - A private desktop for the confidential documents. Discover GenuiSoft Project : a great user experience ! This video permit to show many functionalities provide by the Virtual Desktop Manager : discover the virtualization with the GenuiSoft product. Compatible Windows 7,8 et 10 ! 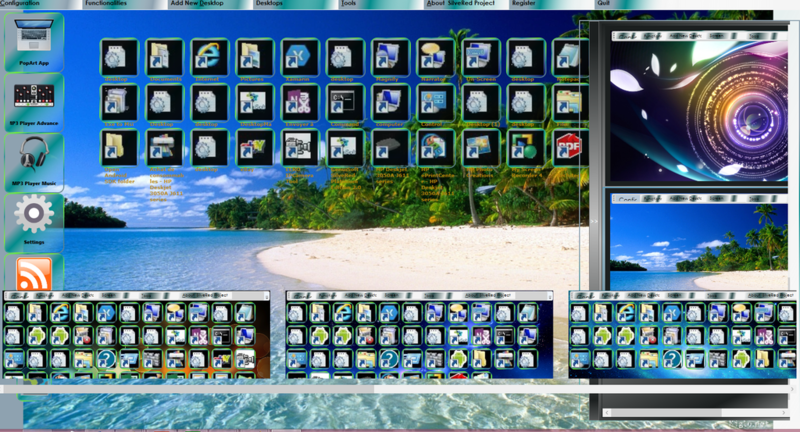 GenuiSoft Desktop Manager SilveRed Edition 2014, an infinity of Multi Virtual Desktop for all your family. 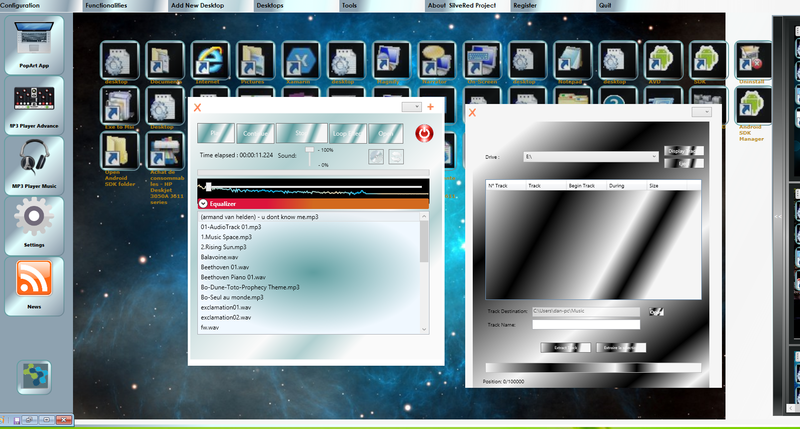 Like a Music Player customized, a Mix DJ Player, note application, Sketch Draw for your Kids, or Rss Reader's application for reading the news, a custom calculator. 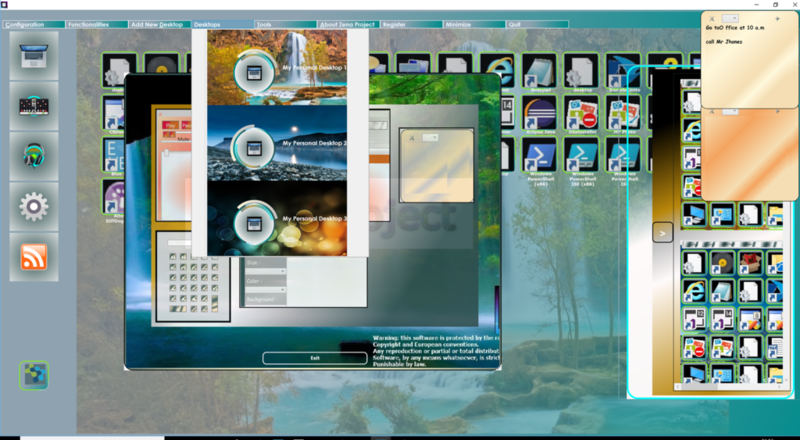 Discover a new experience of your Windows more easy , smart and fun with your Virtual Multi Desktop Manager. Very Quick and Fun, you Will be very suprise by the performance of SilveRed Solution. Live a new user experience ! Raspberry is a complementary module that provides an integrated operating system. We wanted to learn from this completely open concept but on the Microsoft environment with the latest features offered by the Framework. Many builders offers innovative environments such as Apple with its sequel Mac Os X Lion, Maverick or Yosemite or Microsoft with Windows 8 and version 10 to come. But in return you have to equip a computer often difficult accessible point of view prices. We do not want to compete with the giants of the IT solution but propose a altenartive integrating into their ECOSYSTEM to offer an unlimited customization of these environments scalable and unlimited manner. We want developpez this type of project for more gransd pleasure of users and to offer more choices in naviguation your computer. "Enter in the Future of IT in aeronautics"
develop with M Daniel Padrosa of GenuiSoft and MRX Team - A suite of software in the field of aeronautics on Microsoft, Apple and Cloud technologies. We help improve the software of our customers. GenuiSoft is a Trademark and a copyright deposed to INPI (Institut National Property Industrial) since 04/08/2014. All screenshots, logo and SilveRed project are protected by the industrial property.